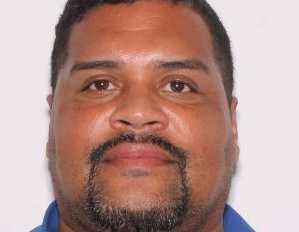 PORT ST. LUCIE, Fla. — A Florida man has been charged with two counts of first-degree murder after allegedly killing his pregnant mistress. Jose Escalera, 41, was arrested after investigators connected him to the death of Tonia Wise, 23, whose body was found in a ditch in August. Wise, who was scheduled to have a Cesarean section within days, was carrying Escalera’s child. Reports state that his wife did not know he was having an affair. Escalera and his wife have four children. According to the St. Lucie County Sheriff’s Office, Escalera was arrested on Sept. 21 after DNA evidence confirmed he was the father of baby Josiah, and timelines placed him in the same area where Wise’s body was found. Digital forensic evidence also reportedly pointed to Escalera. However, according to an affidavit obtained by PEOPLE Magazine, Escalera denied to police that he had been in a physical relationship with Wise, and said that he had been helping someone with their car the night of the woman’s murder. The affidavit also stated that a witness told police that Escalera had given Wise $500 to obtain an abortion, and was upset that she didn’t go through with it. Police, however, have not settled on a motive. “We know that he was the father of the baby. We know that she had some other individuals in her life, men in her life. We don’t know if jealousy was a motive; we don’t know if there [were] other motives involved,” Mascara told Treasure Coast Newspapers. The Florida Unborn Victims of Violence Act, which became law four years ago, carries criminal penalties for harm caused to children in the womb, recognizing them as separate persons.